I can't remember exactly where I first saw Cuphead. I know that's a horrible thing for a journalist to actually type out, but it's true. Maybe it was Reddit, NeoGAF or a random YouTube link. I don't know. I know when I saw it, though. It was January. A single, brief trailer did it for me. Cuphead was on my radar, thanks to this clip right here. The art, the music, the fact that this team was aiming to do something totally unique. That all landed directly in my wheelhouse, and it made me extremely excited for what was to come. 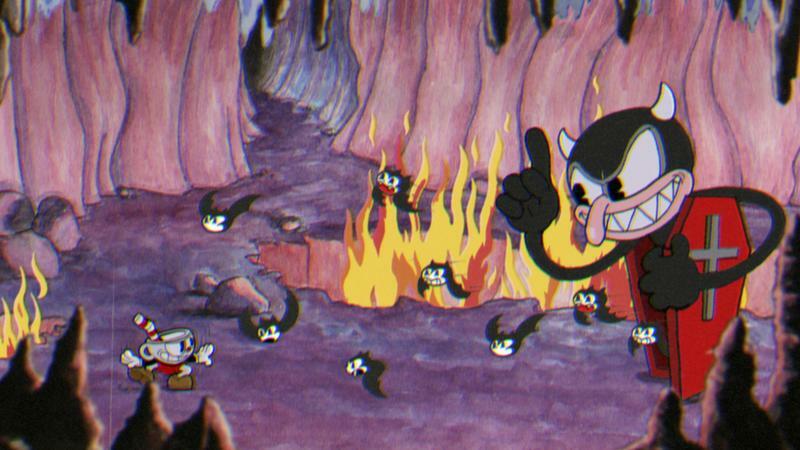 Cuphead aims to become a 2D action, run and gun game with a big focus on boss battles in a 1930s cartoon style. It's being developed by brothers Chad and Jared Moldenhauer. The self-proclaimed "huge, huge nerds" are working with Cosmin Chivulescu on coding help, Smo (their second Animation Expert) and Kristofer Maddigan on music composition. I reached out to Chad Moldenhauer of Studio MDHR back in January of this year. We swapped a few emails, tried to line up an interview and… well… both of us fell off the face of the Earth, too wrapped up in our own work to move forward. Then E3 happened. Chad emailed me at the start of the week, asked to reconnect and here we are. Cuphead saw a huge swell of support thanks to something special during the show. If you watch that trailer above, you might forget what you're reading about here. It's Cuphead, of course, and the game makes an appearance in the clip at around the 37 second mark. Microsoft showed that video during their E3 press conference last Monday. Cuphead occupied a whopping four second block in the whole thing, plus maybe a half-second flash towards the end. The crazy thing? That was enough to create a notable boom in recognition. "It's been just wild," Chad told me. "We assumed, you know, because back in January there was a small group of people that really responded well to it, so we thought we'd get a slightly bigger group of people that are responding to it." "But," he went on, "for some reason a ton of press and social media are saying like 'this is the best thing at E3' and 'we can't wait for more…' things that we've never even thought were possible." I asked Chad specifically how things went from a minor burn of excitement in January to showing up during Microsoft's press conference. It turns out, Studio MDHR was approached by Microsoft around the same time I got excited about that first trailer way back in January. "Right around the time that we released those first two teaser trailers, Microsoft contacted us and asked if we were interested in joining their program. We said, 'Of course we are.'" Chad explained that things "just kind of slowly built up from that." "They saw a little bit more, we showed them a few more things we were working on, and they just got more excited internally. They asked us if we wanted to go exclusive and join the E3 montage, so, all that stuff… We were definitely like, 'Yes! Yes, please!'" 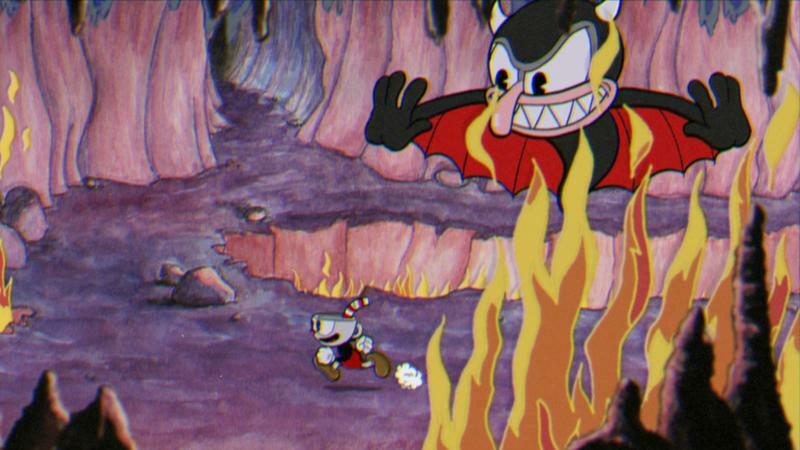 That exclusivity means that Cuphead will hit the PC and Xbox One simultaneously at launch. I asked Chad about a rough window for launch, by the way, and he said that his team is aiming for the front half of 2015. Things happen, of course, so keep that time frame as an estimation in your mind. "Microsoft contacted us and asked if we were interested in joining their program. We said, 'Of course we are.'" Releasing on Xbox One Meant "Hitting Reset"
Chad explained that he and his brother Jared are excited about their relationship with Microsoft. One only has to consider the "boom" that happened after the press conference last week to see a large part of the reason why they're jazzed. Unfortunately, joining up with the [email protected] program meant practically restarting development on Cuphead. I asked Chad roughly how "complete" the game was today, and he told me about the move from XNA Framework to Unity. He told me that Studio MDHR ballparks around 20 percent of their old code was usable for Unity. "The whole Unity change that we did, kind of in mid-to-late February, was almost all due to joining Xbox One and [email protected]. We had it on XNA Framework which really only works on Windows and Xbox 360, so it was kind of a no-brainer to switch to Unity. That also allows us to port to other platforms in the future." Okay, let's hone in on that last bit for a moment. Going with Unity means removing barriers for platform porting. 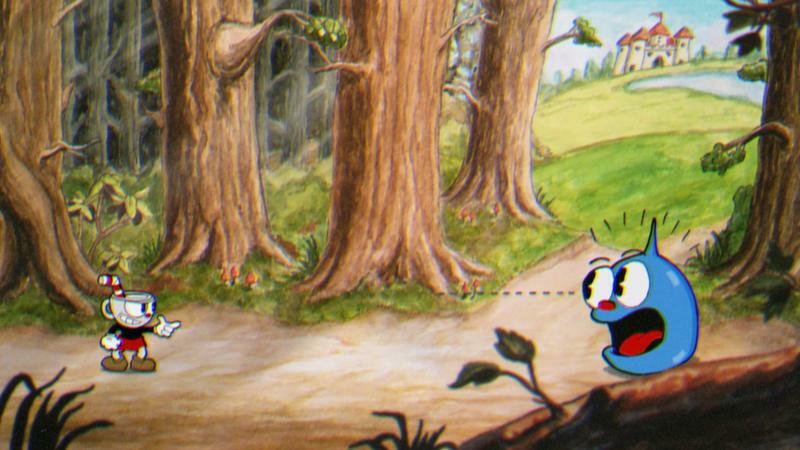 Cuphead will hit the PC and Xbox One first, that much is clear. Unity means that it could eventually move to the Xbox 360, PlayStation 4, Wii U, PS Vita and PlayStation 3. It can even go mobile. So, right, that was a "no-brainer." "That kind of gave us a little kick in the pants for the development side of things," Chad went on. "The art side of things was sitting at about, if I had to take a guess, 40 or 35 percent complete I'd say. The development side is sitting just under that. There's a ton of work to do." I asked Chad about working with Microsoft and the [email protected] program. I explained that there's this negative perception surrounding the Xbox brand, one that may or may not be justified. I offered that the indie developers I've spoken with over the last year or so suggest that Microsoft has been a pleasure to work with in this regard. Chad reinforced that notion. "It's been amazing," he told me. "To me it feels, really the only way to put it, is it feels like how I think they would treat the other third parties. It's not this 'hey, we're a big corporation and you're independent so bow down to us.' It's more of an actual real business exchange." I pressed him a bit about the companies that have suggested being burned by their relationship with Microsoft. "It's hard to say, maybe there are some times when it doesn't work out. Maybe if you don't have the full story it isn't clear that people didn't have everything up front and it didn't work out in the end. If they didn't have clear definitions." "To us, this has been perfect. It's almost just like having a friend." Can The Gameplay Meet the Visual Hype? Without any pressure, Chad pointed our conversation in a direction that I eventually wanted it to go. 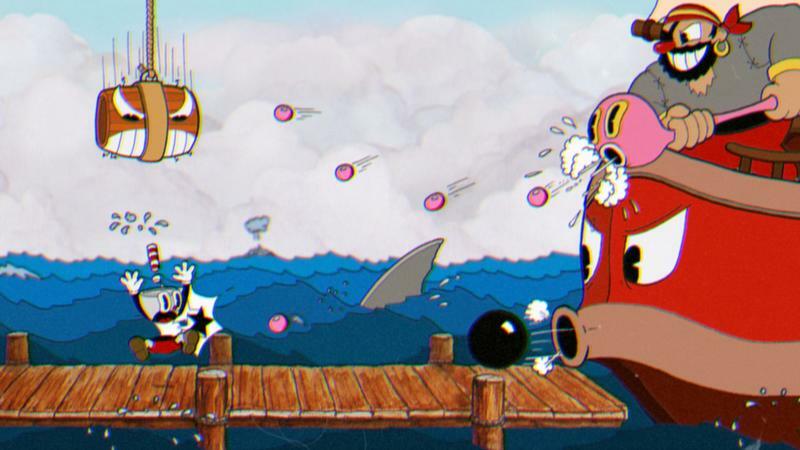 Studio MDHR has successfully generated a lot of love for Cuphead based solely on the way it looks and moves. What about the way it plays? "Can we ever actually live up to the visual hype with our gameplay?," Chad posed. "We actually focus more of our time and energy on the gameplay, but, in people's minds, that'll be a little bit of an obstacle." 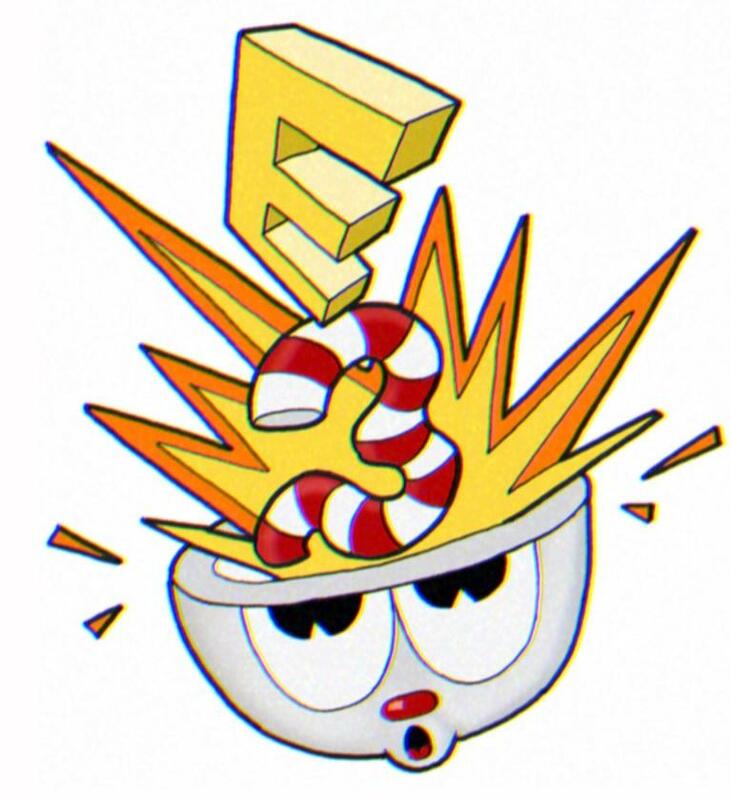 To-date, Cuphead has a stack of screenshots and three small clips behind it. This game, one that started to catch a little popularity early this year, still largely sits in the "unknown" category. Chad says that they owe that to how they've shown the title. He actually said that a few times, clarifying bits of discussion with their method for marketing so far. Exactly what is Cuphead? Chad expanded on that. "We haven't made ourselves too clear about things. We're in development, and we change our minds slightly about things as we playtest them. The majority of the game will be one or two screen bossfights, but we also want to incorporate platforming levels where you're actually running across eight, nine, maybe more screens. It'll still be a boss fight in a way." "For example, you might be chasing a boss. The boss could be in the background, and it would be a race instead of a direct Contra battle. We're trying to keep it pretty diverse even with that boss rush stigma the game has on it." I asked Chad about the nature of the single screen or arena style boss and how much of that will make up the bulk of the game. "The single arena boss, just because it's not as much work, is going to be a big chunk of the game. We'll probably, just guessing right now based on what we have planned… 30 to 35 percent of the game will not be that. It's 20 times more work, but (laughs), we'll do it." He hit that bit about how they're revealing the game again. "It's likely been a problem of how we're showing the game, but there's this notion that maybe it's nothing but these one-on-one boss fights. The SHMUP, side-scrolling space style shooter, stages are present in the game, more platformer based levels are sprinkled throughout and we're working on our playable world map." "We kind of like the idea of Super Mario World's map. Instead of going point-to-point, we're keeping a smaller, focused map where you can walk around wherever you want. It's not going to take as long, but it'll give you a better feel of the world, let's us do a couple secret things and bring a hint more story into the game. Definitely only a hint, though, this game's not going to be about story." 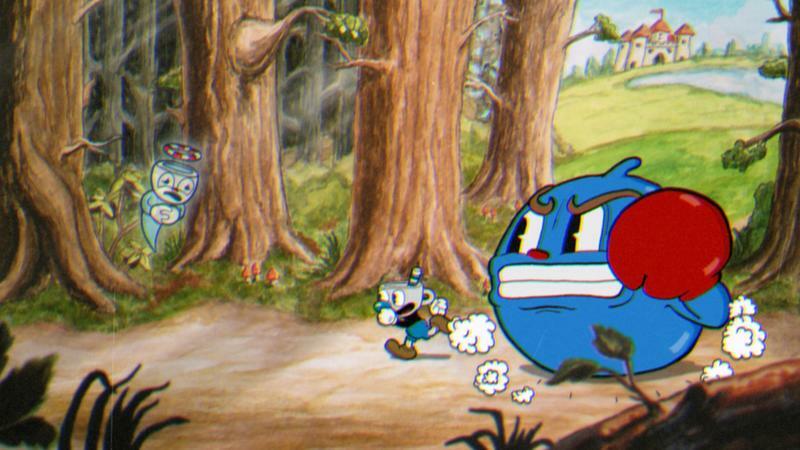 As far as gameplay is concerned, fans of classic run 'n gun offerings will be pleased to learn about Cuphead's major inspirations. Chad pointed towards a slam dunk of a game from that old genre. "I think Contra 3 is going to be one of the bigger inspirations," he explained. "We don't have a strafe. Contra is already a very in-depth game. We've only kept the lock just like Contra 3. There's no running around while aiming in the same direction. Even though that's a bit more retro, it allows us to really fine tune bosses in knowing that fact. You can't just aim diagonally up and run back and forth along the bottom of the screen to fight the boss, it has to be a bit more thought out." News that boss fights won't be as simple as aim, shoot and dodge is exciting. But Chad also revealed an incoming mechanic. "Pretty soon we're going to show the parry, a big part of the game, where all pink attacks can be parried. It's kind of like a Street Fighter III parry, but you'll only be able to parry in the air and you'll be able to do multiple parries. It adds to your super bar, and you'll use it to get out of certain situations." I asked Chad if all of this means that we'll be getting an extremely difficult game. "We'll put the difficulty that we really love in a New Game+ mode instead of right at the beginning. It seems a bit more fair for people who want to get into a run and gun." Behind the look and the play will be a soundtrack audio effects library that Studio MDHR hopes to floor folks with, Jared Moldenhaur is doing up the actual sound effects for the game. Chad explained in a post-discussion email that while spending 75% of his time doing design work on Cuphead, Jared is also doing sound work. The sound effects, according to the note, are 95% foley. Foley, of course, means that Jared will actually sit in a recording studio and try to recreate the sounds meant for the game with real world objects. This is my own insertion here, but perhaps we'll hear Cuphead shatter like dishes hitting the floor when he dies. The music? This, to me, is one of the more exciting bits of the whole game. It's all 1930s era jazz, and it's being done by a close friend of the brothers Moldenhaur. Kristofer Maddigan is doing the tunes, and he explained a bit of his methods in the aforementioned post-interview email from Chad. "Most often the music is being composed by improvising on the keyboard until something good comes up, then recording that straight into Cubase," Kristofer explained. Cubase, for those that don't know, is a type of music editing and arranging software. "After that, complementary parts are written (bass lines, counter melody, horn shots etc), again still using just the piano sound, so I have to use my imagination as to what certain parts will sound like once arranged for big band (woodwind parts, horn solo's, etc)." Kristofer went on to say that he "experimented with a big band midi program but really, it sounds awful, so I went back to using just piano." He continued, "Then, the recorded ideas (sometimes just fragments, sometimes almost complete pieces) are sent to the Bros. Moldenhauer [that phrase makes me giggle] for rejection, where they will nitpick things relentlessly. But, if they hear that a certain piece has the potential to work, then I will tweak it until it falls under their quality control radar." "Often I can tell early on that a certain idea won't work for any of the actual boss fights, but may come in handy later as more of the game gets designed. (At this point, the exact structure of the game isn't completely nailed). I have written approximately 50 some pieces, and about 12-15 have thus far been given the OK. Once all the final tracks are approved and ready (closer to the game's release), the songs will be arranged and then recorded live with a whole slew of musicians." As bad as I feel for Kristofer, I find myself glad that the Moldenhauers are being so nitpicky. That's the key to this whole game, really. Cuphead has a distinctly 1930s classic look to it, something that will only truly be captured by those willing to slave over recreating the creativity of the past. That, to me, is why it has found so much early hype. People look at it and instantly connect it to an era long gone. 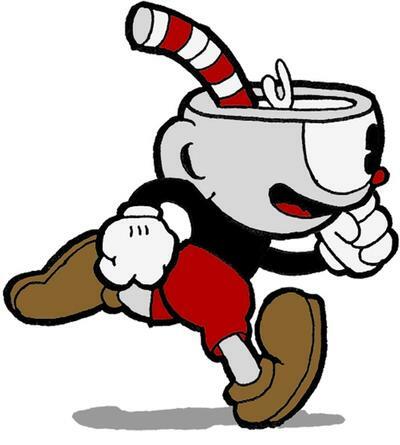 We want to experience Cuphead because it's so charmingly classic, and, if the gameplay holds up to the visual allure, we're already scared about how much of our lives could be sucked away by this liquid holding hero.